Townhouse is a digital agency based in Hertfordshire, UK. With clients ranging from professional motorcycle racers to educational institutions and software vendors, the agency builds bespoke websites, mobile apps, and iBeacon campaigns. 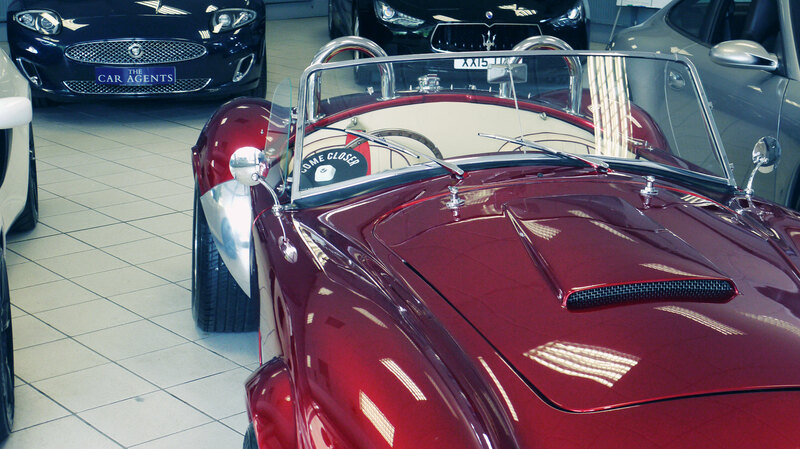 The Car Agents is a one-stop shop for selling, servicing and valeting second-hand luxury cars in Hertfordshire, UK. Buyers can choose from a long list of iconic auto brands, including Aston Martin, Bentley, Ferrari, Porsche and Rolls Royce, presented in an upscale showroom. Looking for new ways to enhance the shopping experience, the Car Agents teamed up with Townhouse Creative to launch the first iBeacon campaign on the premises of its dealership. The campaign displays detailed car information and relevant promotions directly on visitors' smartphones. Townhouse kicked off the project by installing beacons in the dealership. Working in a room full of cars presented certain challenges in terms of beacon reception and signal overlap, leading the team to experiment with optimal beacon locations. For example, windshield coating used in premium cars blocked not only UV rays but also Bluetooth transmissions; overlapping signal from closely placed beacons led the mobile app to pick up incorrect IDs. Once the installation problems were resolved, the team shifted its attention to setting up the backend for managing the iBeacon campaign. Contrary to common misconception, beacons do not transmit actual content to mobile phones. Instead, they broadcast a few bits of data containing a unique identifier, which is then used by a dedicated mobile app to fetch associated content from the cloud. While this split of ‘responsibilities’ ensures the longevity of beacons and considerably reduces the latency of communication, it also requires vendors to develop the complementary cloud and mobile infrastructure - an engineering feat that takes time and requires a wide range of special skills. Rather than starting from scratch, Townhouse opted to develop its CMS for the iBeacon campaign using Contentful. The decision yielded quick dividends. CTO Simon Bennett explains: “Having a ready-to-use API and mobile SDKs allowed us to roll out the custom solution in 3 days, instead of the more usual 8-10. It’s amazing to see how efficient Contentful was at eliminating boilerplate work.” In addition to saving time, the content API came packed with advanced functionality: search supports queries with geographical parameters, image auto scaling eliminates manual labor, and data sync considerably improves the mobile app performance. In just three days, Townhouse had a full-fledged, scalable and secure backend for managing every aspect of the campaign. A crucial step in preparing the iBeacon campaign was coming up with a content model fitting the Car Agents’ use case. This involved setting up the usual beacon fields (UUID, major, minor values) and developing a content type to store all the automobile data. Traditionally, this task is handled by the developers setting up a CMS instance, since content types, field widgets and validations often can only be altered programmatically. Unfortunately, making key modeling decisions so early in the process and leaving developers in charge of them, often leads to CMS dashboards that frustrate and confuse editors. Contentful helped Townhouse sidestep the problem by building content modeling right into the editorial workflow and providing built-in tools to define, customize and manage individual content types. “Being able to define how many entry types there are and what goes into each entry – all those details about transmission type, maximum torque, and cylinder arrangement – without the need to rely on a developer took a lot of pressure out of the project,” says Managing Director Richard Malloy. 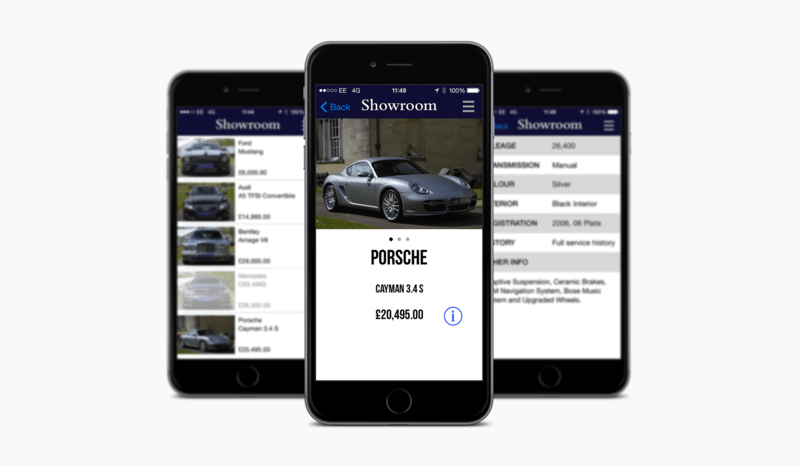 Mid-way through the project, the resilience of the initial content model Townhouse developed was tested by the customer deciding to include pages with information about the adjacent bar and car spa facilities in the iBeacon campaign. The pages were meant to store completely different information and simultaneously be accessible via iBeacons. Far from causing a headache, this request was easily handled with the content modeling functionality. “We tried a couple of alternative setups, iterated on customer’s feedback, and had new pages up and running in a matter of hours,” Richard Malloy summarizes the process. As an agency working with medium and small businesses, Townhouse was acutely aware of how important the authoring experience is in a CMS. “In the past, we’ve used Joomla and Drupal for similar projects,” says Andy Eves, the business development manager at Townhouse, “but regular users, who publish only a few items a month, always found these tools unwieldy.” All the engineering know-how aside, Townhouse realized that it was the experience of creating content that will determine long-term success of its projects. Choosing Contentful gave them a strong lead over competitors. “Contentful’s user interface, stripped off gratuitous features, was intuitive enough and appealed to editors looking for a simple way to create entries and add assets” comments Richard Malloy. The use of a markdown editor, cross-referencing of entries, and flexible content templates constituted a novel way of doing things, but also eliminated year-long frustrations among casual CMS users - from pasting mangled markup code to manually re-entering the data. “Our initial fears were turned on their head when editors approached us asking if the same CMS could be used to manage their website content,” concludes Richard Malloy. Developing the iBeacon campaign for the Car Agents has set a high bar for the Townhouse team: they had to configure a beacon network, craft a user-friendly authoring flow, and map out a robust content structure. Contentful, with its ready-to-use cloud infrastructure, content modeling capability and intuitive user interface, gave Townhouse the right tools to execute the project and in the process proved the value of its CMS well beyond desktop websites.